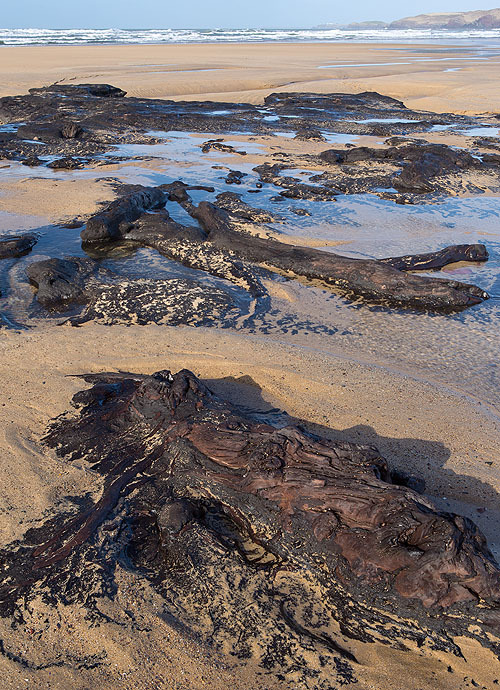 The 2014 New Year Storms , lowered the sand levels substantially exposing Peat Beds with some tree stumps , fallen trees , roots , branches.... the remains of an ancient forest. The compacted peat deposits in this area have been dated to 5250-4550 BC. The forest was submerged as a result of a rise in sea level. As well as Amroth and Abermawr in Pembrokeshire these ancient forests can be found at many locations around the Welsh Coast .